CHIEF EXECUTIVE OFFICER. 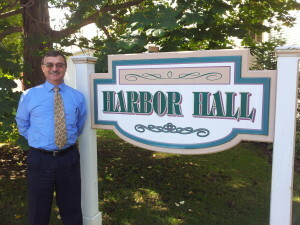 Harbor Hall. Field Placement Supervisor for Madonna University, Michigan State University, Grand Valley State University, Spring Arbor University, Counseling and Social Work Programs. Pat is married to a wonderful woman and has six children whom occupy much of his free time. Otherwise Pat enjoys fishing, golf and cheering on Detroit’s Red Wings and Tigers.